Do the deep blue, beautiful Whales leave you feeling star struck? 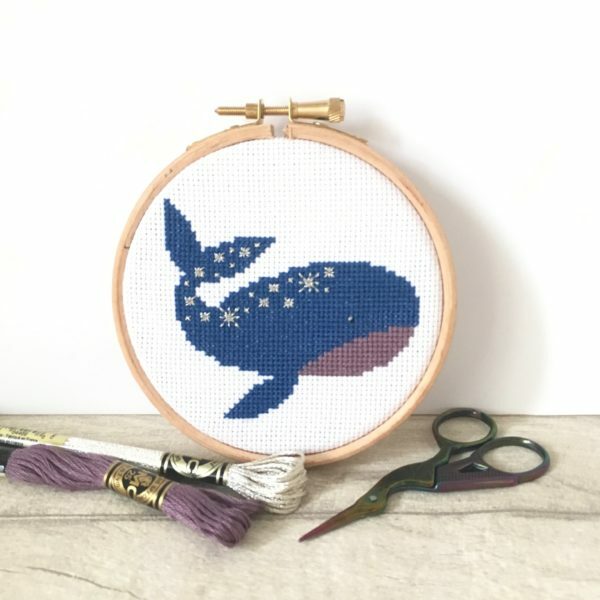 Then this Starry Whale Cross Stitch Kit is perfect for you. Stitching the sparkly stars on the blue and purple will transport you to a daydream of floating through a star filled sky; what better antidote to a stress-filled day? 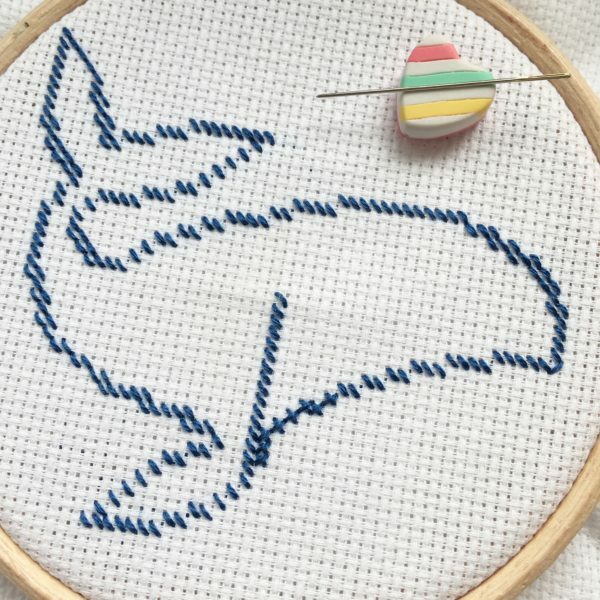 The helpful instructions will walk you through how to cross stitch so you will be able to stitch even if you are a beginner. 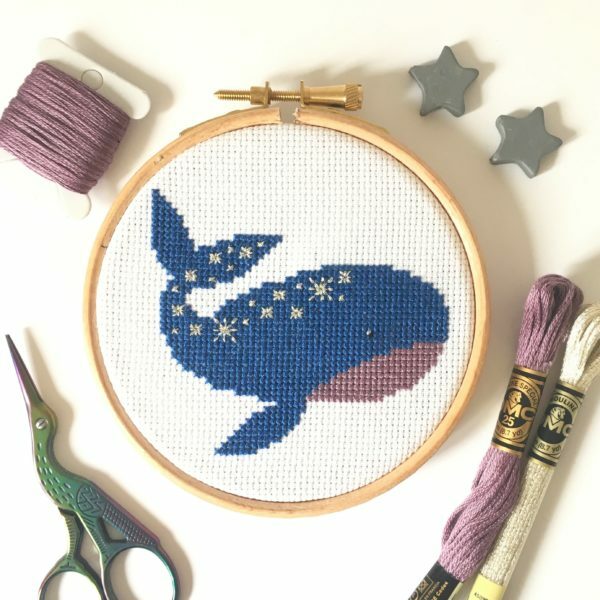 The pattern is made up of full cross stitches, a half stitch and a little back stitching for the silver stars. 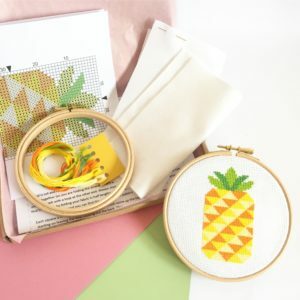 This particular kit is more suited to people with a little experience of cross stitch due to the back stitching, but I have online tutorials so if you are a beginner to cross stitch and would like to learn the how-to before you buy you can head over to my How To Cross Stitch Guide which has instructions and video tutorials. 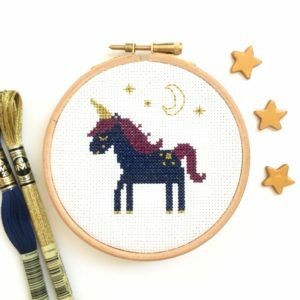 This kit also includes metallic/light effects thread which I know not everyone likes stitching with, so I also include the cotton version too.